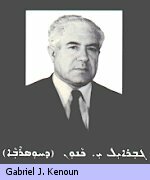 Gabriel Kenoun, the author of "Medicine and Human Anatomy" and "Geometry" books published in the Aramaic (Syriac) language. Click book for sample page from the "Geometry" book. 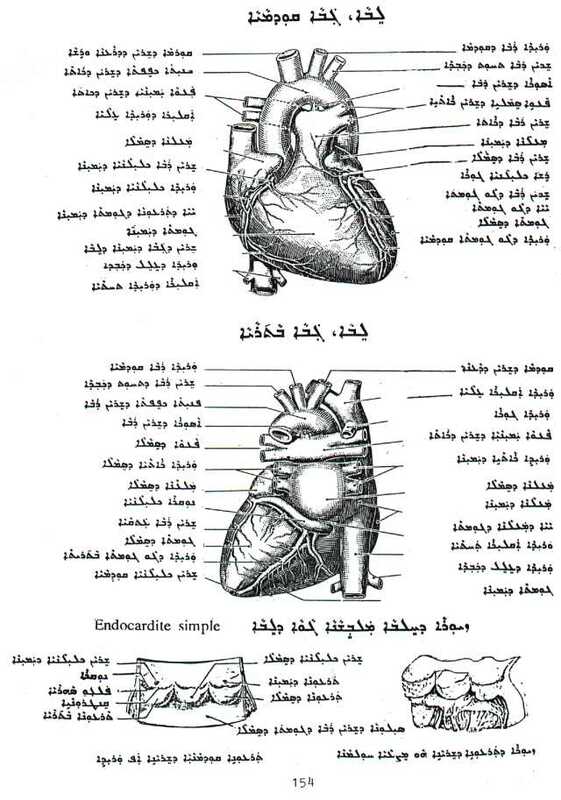 Sample Pages from "Medicine and Human Anatomy"
by Gabriel Kenoun, author of "Medicine and Human Anatomy" and "Geometry" Assyrian books. 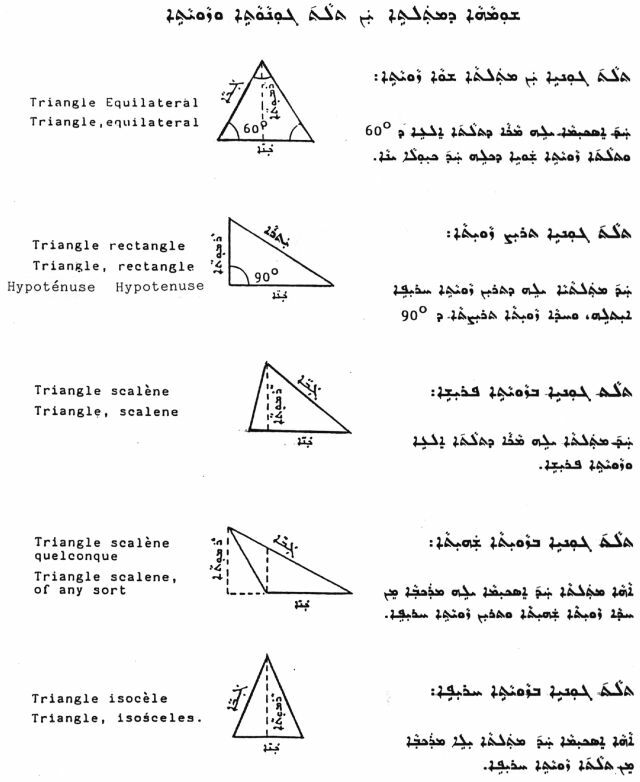 Author of "Medicine and Human Anatomy" and "Geometry" Assyrian books. Gabriel Kenoun, born in Turkey but lived in Iran for 50 years. I was a Manager in a car manufacturer company, as well as having my own business. I moved to the USA in 1979 and settled in Chicago with my family. Q. What did you do in the US since 1979? When I came to the US I was about sixty years old. I was fluent in many European languanges and I had a great deal of knowledge in business, especially in the field of export and import. As you know, that age is considered to be old for this job market. Therefore, I was unable to get a job, neither I succeeded in running my own business due to the political situation that existed between the US and IRAN during those times. Q. How did you keep yourself busy during all those years? I decided to do something positive with my time especially for my own people. I started researching and learning about Assyrian history, language and their accomplishments in almost every aspect of life. Later, I decided to pick couple of subjects and put them on paper. Q. What subjects did you pick? I picked Geometry because it was my favorite subject in the high school. I also picked human anatomy because my father was in medical profession and I developed some interest in that field as well. Q. Why do you prefer human Anatomy or Geometry over history? There are so many of these books written both by Assyrians and other authors about our history. We did not need another one. I always believed that the only way to keep a language alive is to expand the vocabulary to meet the demands of the new world. If a language suffers from lack of vocabulary, it is doomed to die, sooner or later. Q. Are you saying that the Assyrian language will die? Not if we do something about it. Our language was probably good till the last one hundred years. But in the last century with all the achievements in the field of medicine, engineering, management, sience etc. we need three times as much vocabulary and terminology that we currently have, to keep us going. Just imagine two Assyrian doctors talking about the condition of their patient. Even if they try very hard to speak in Assyrian language, but they still have to borrow 50% of their words and terms from other languages in order to express themselves correctly. This is true not only in medicine, but in every other field. Having a technical conversation in a language that is insufficient would result in not using it, and that would be the end of that language. Q. Then, you believe that building our vocabulary and modernizing it is the key to the survival of Assyrian language. Q. What have you done in these two books? 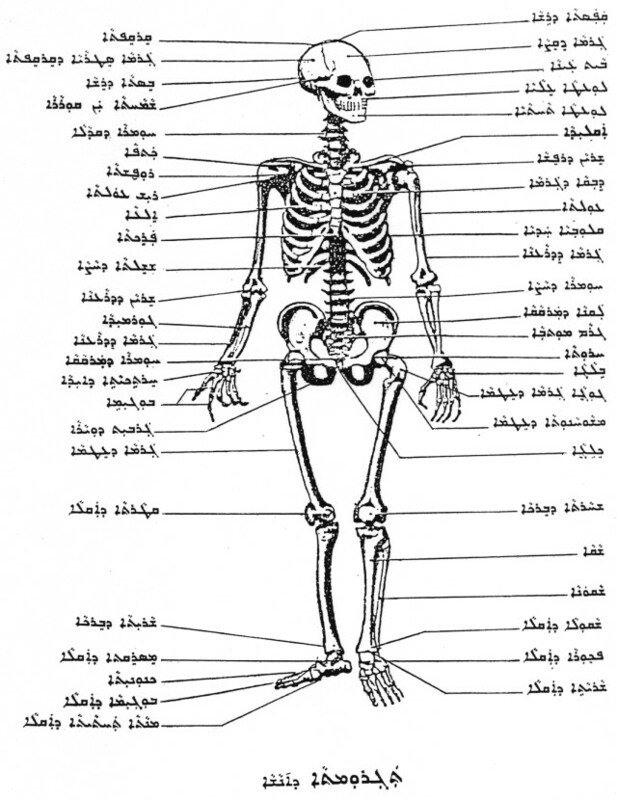 For the Anatomy I have tried to assign a name or a term for each bone, membrane, tooth, tissue and organ. 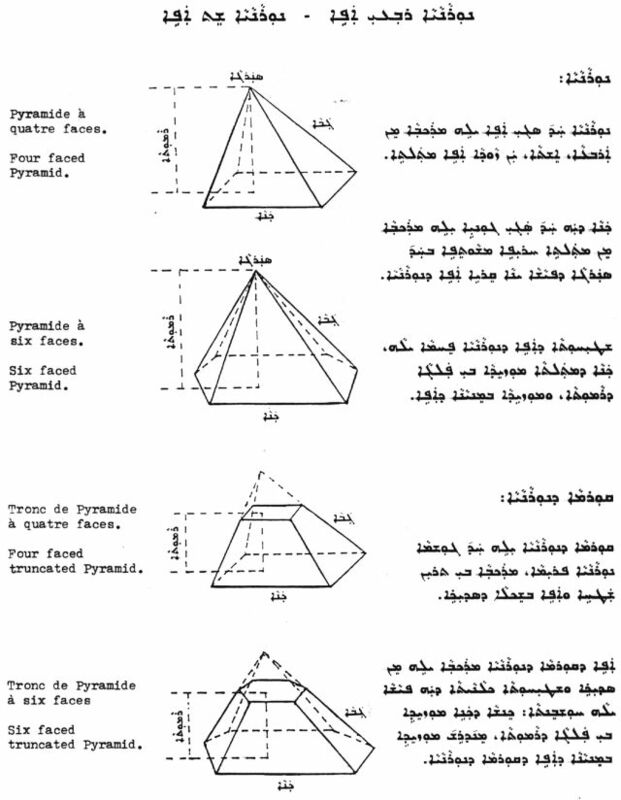 For the Geometry I have tried to assign or find a name for every geometrical shape. Q. Do you have any background in any of these fields? The Geometry book is simple and it contains only shapes. It does not need a vast mathematical knowledge. The book of anatomy however, requires more technical knowlege especially in the field of medicine that I lack. By no means I claim that my work is perfect. Especially when one starts from ground zero. But it is a starting point and an invitation to all experts to get involved to rebuild and modernize our language. So that we can use it for generations to come or do nothing about it and seeing it vanish in the near future. Q. Thank you for coming here today. Can you tell us how much and where to purchase these important books. Yes of course. They can be purchased from the Ashurbanipal library in Chicago Illinois. Or by sending a completed purchase form directly to the address below. Both books are sold together for $35 U.S. currency.